The Gruabn. When they hear this name, the heart of SK Sturm fans of most different generations opens, they think of sports triumphs and tragedies, of hard conditions and fights with no holds barred, of lack of space and difficult pitch conditions, of hot-blooded tackle and brilliant game moves. A cult stadium. 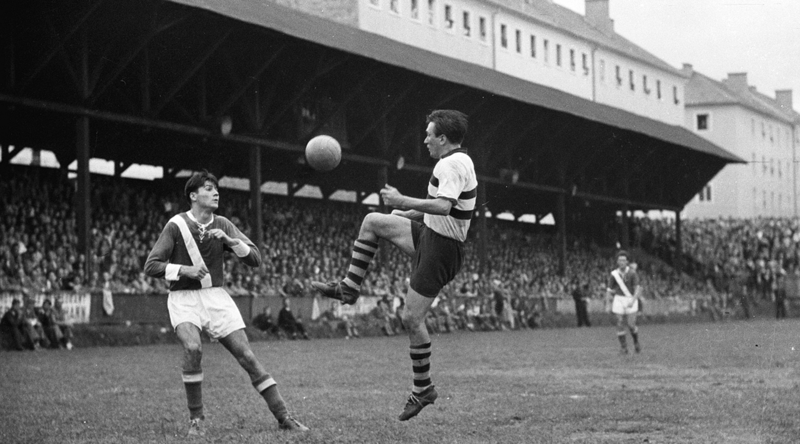 For decades, the sports field on the Jakominigürtel in Graz, which was opened in 1919, served as the home of the SK Sturm. To commemorate the 100th anniversary, the GrazMuseum recalls the eventful history of the Gruabn, which is well known throughout Austria. What is on display is previously unpublished photographic documents from the early days, as well as the best photos from Foto Fischer’s archive, original relics from the Gruabn, memorabilia from fans, artistic contributions, jerseys, pennants, trophies and audio and video stations.